When is Double Decker Arts Festival? Where is Double Decker Arts Festival? 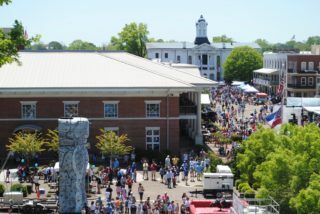 The festival takes place in Oxford, MS on the historic downtown Square. How much is entry into the festival? Double Decker Arts Festival is FREE. Is the music portion of the festival a separate ticketed event? No, the Thacker Mountain Radio Hour and musical performances Friday night and all day Saturday are free and part of the festival. 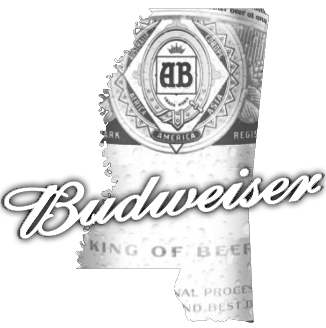 How do I get to Oxford, MS? Oxford is located in Lafayette County in the North of Mississippi. Oxford is easily accessible by car and is only 1hr and 15 minutes from Memphis International Airport. Where can I stay once I’m in Oxford? The Visit Oxford Visitors Center has a full lodging list. Click here. The festival happens rain or shine. Performances on the Main Stage may be postponed or cancelled if weather conditions are deemed unsafe. Performer times are subject to change. Pets are not allowed at the festival. We encourage people to leave their pets at home as the festival is usually very hot, especially since it is all on concrete, and very crowded. No drones are allowed in and around the festival. What other activities are available besides shopping and listening to music? -Two historic Oxford bus tours with a tour guide are available from the Visit Oxford office (1013 Jackson Ave E) at 3pm & 4pm. Tickets are $10 for adults and $5 for kids. Call 662-232-2477 to reserve seats. -Art Demonstrations will take place around the Square. Please check the “Schedule” tab for more details. -Thacker Mountain Radio Hour will host its weekly live radio show on the Main Stage Friday night at 7 p.m.
-The Double Decker Spring Run (5k, 10k & Fun Run). For registration and more info click here. -The Double Decker buses will be running a short version of the regular public tours without a guide. $5/person to sit on the upper deck. Free to ride the bottom. -Square Fair is the kids area with ticketed rides & will be open 10-5. Where can I buy Double Decker merchandise? Double Decker Arts Festival merchandise is available at the Visit Oxford office (1013 Jackson Ave E) ahead of the festival as well as the Merchandise and Information booth located at the corner of FNB bank on North Lamar. Posters and t-shirts with the 2019 artwork as well as t-shirts without the artwork will be available. Past years’ posters will also be available for purchase. Parking around the Square is very limited. We recommend taking advantage of the Double Decker shuttle. This year there are 2! The shuttles run all day from Oxford High School (101 Charger Loop- off Sisk Ave) and South Oxford Center (old Baptist Hospital- off South Lamar- park in the garage). $5/person roundtrip. When does parking around the Square cut off to the public? The metered spots on North Lamar and Monroe Ave are closed off Friday at 4 a.m. The other metered spots and surrounding lots will be closed to the public beginning at 4 a.m. Saturday morning. An updated map will be posted of the parking closings on all of our social platforms. Are parking passes available for purchase? Parking passes are limited and only available for vendors to purchase. Yes, ADA spots are available on a first come first serve basis in the parking lot behind Something Southern (1223 Jackson Ave E). When and where does music take place? Thacker Mountain Radio Hour and musical performances take place Friday night beginning at 6 p.m. at the Main Stage. Music all day Saturday begins on the Main Stage around 10 a.m. and finishes at 10 p.m. The Main Stage is located on North Lamar. Is seating provided at the Main Stage? Attendees of the festival are encouraged to bring lawn/Grove chairs with them if you prefer to sit during the music. When are the Art Vendors open? Art vendor booths are open on the Saturday of Double Decker beginning at 10 a.m. and close at 5:30 p.m. When are the Food Vendors open? Food vendors are open on the Saturday of Double Decker at 10 a.m. and close at 5:30 p.m.
Is alcohol available for purchase from the Food Vendors? No, alcohol is prohibited from being sold or consumed outside of the restaurants located on the Square. Do vendors accept cash, check or card? Most vendors accept all three. There are also ATMs available at banks located on the Square if you are needing cash. Interested in becoming an art vendor? Applications for the upcoming year are available in November through Zapplication. Check the “Art” tab at the top of our website, look for the direct link through our social media platforms or search “Double Decker 2020” on Zapplication. Interested in becoming a food vendor? We encourage local vendors to apply to provide food at our festival. The applications and guidelines for food vendors are available through our website under the “Food” tab in February.